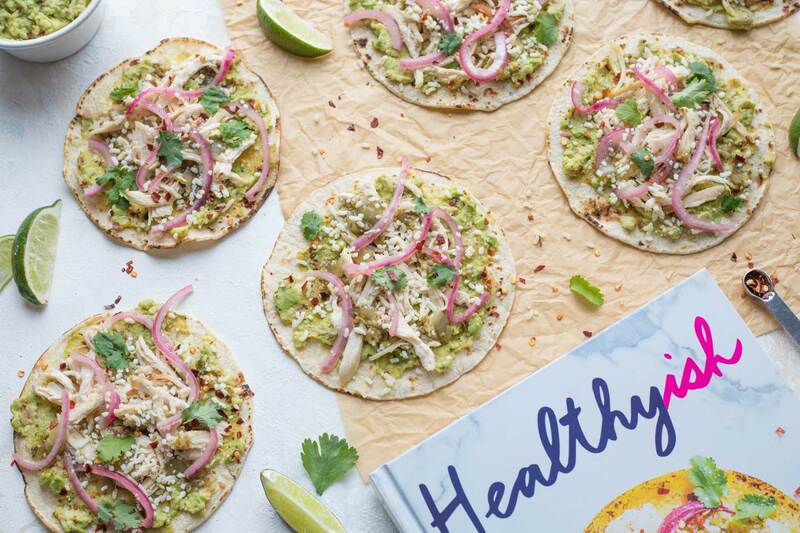 Our little disclaimer: As I explained in last week’s post, when we read about the newly released cookbook Healthyish, we asked Lindsay Maitland Hunt for permission to review her book and post this recipe – because we genuinely liked the cookbook and really wanted to share it with all of you. Although Lindsay and her publisher were kind enough to provide us with a free copy of the cookbook for review, we were not compensated in any other way and all opinions are entirely our own. Recipes shared with permission. 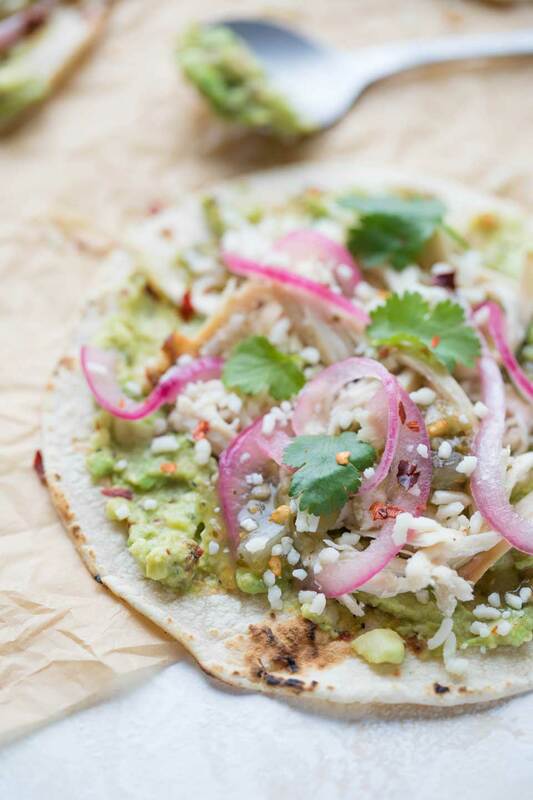 There’s so much that I adore about these super-quick Rotisserie Chicken Tacos. They’re special. Seriously. We Love these (with a capital L)! A new family favorite that’s pretty much got it allllllll. 1) Rotisserie Chicken! – If you spend much time here at THK, you know I’m a huge fan of any recipe that can start with rotisserie chicken. Total timesaver! Dash past the deli, grab yourself a perfectly roasted-up chicken, and dinner’s practically already done. Let the grocery store save you an entire step – brilliant! 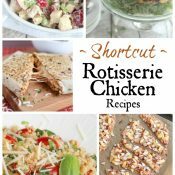 Sidenote in shameless self-promotion: if you have the same loving feelings toward rotisserie chicken that I do, make sure to check out our whole list of rotisserie chicken recipes (hey hey – another list! ), like our Easy Chicken Parmesan Wraps and Quick & Easy Chicken Noodle Soup. 2) Tacos! – Do I need to say anything more? Tacos are always a slam dunk! 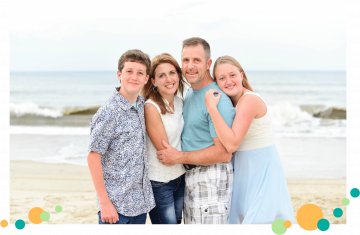 They’re that happy place where everyone in the family can agree on dinner, and each person can load up their tacos to customize them just the way they like. 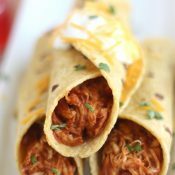 We’ve got so many spins on taco night here on our site – from Shrimp Tacos and our 3-Ingredient Crock-Pot Chicken Tacos (one of our all-time, most popular recipes ever), to more unique ideas like Mediterranean Tacos and Ta-Cones. But what don’t we have yet? Tacos with rotisserie chicken! (How have I missed this obvious and wonderful incarnation of tacos?!?) Well, we’re fixing that shortfall today, for sure! 3) A Fresh, Unique Take – This recipe goes way beyond your typical taco fixin’s of chopped tomato, sour cream and iceberg lettuce. The first time I tested this recipe, as my son gleefully shoveled in taco after taco, he murmured that these tacos were just like Barrio tacos. Barrio is a taco restaurant here in Northeast Ohio that goes all-out on unique taco twists and elevated toppings combinations. So, for him to compare these Rotisserie Chicken Tacos to a Barrio taco is pretty much the highest honor he could possibly have bestowed. And he’s right. These are just that good! I think it’s the pickled onions that really make the difference. Those onions are my new heartthrob (more on that later …). Especially if you choose a salsa verde and go with the cotija cheese (which we always do), the flavor combo is just so refreshingly different from the typical taco night routine. I will say, though, that you can vary the amount of “uniqueness” depending on which salsa and which cheese you choose, so if you want to keep these more mainstream for picky eaters, you definitely can. 4) The Cookbook Where I Found This Recipe – Healthyish! 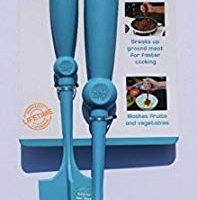 Last week (when I shared the recipe for Springtime One-Pot Whole-Wheat Pasta with Peas), I told you all about how I’d reached out to the cookbook’s author, Lindsay Maitland Hunt, for permission to share her book and a couple of her recipes with all of you, because I felt like the book is truly aligned with the kinds of recipes we all enjoy. And, I told you about the oodles of recipes we’ve been making out of Healthyish – so many fantastic meals! Easy, delicious and realistically do-able for busy people. That’s so us, isn’t it? So you … so me. 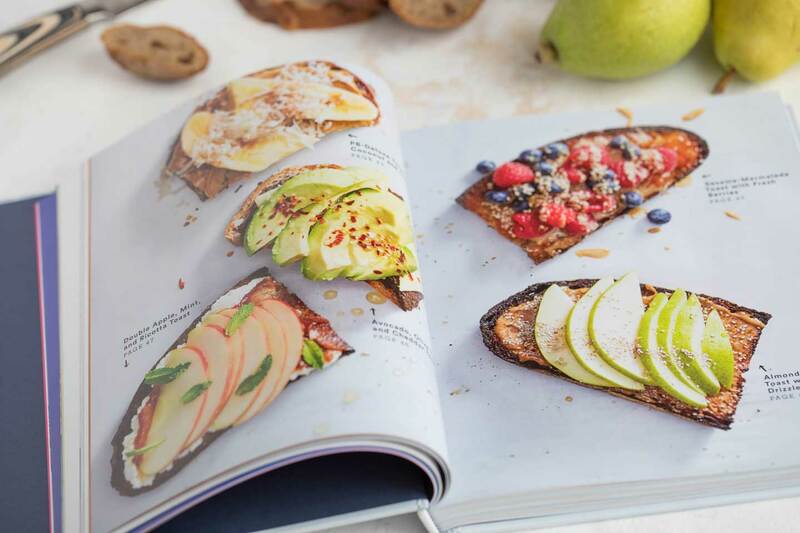 Besides all the great recipes, and the gorgeous, inspiring photography, I’ve gotta say – the very premise, the backbone of the book, really resonates with me. 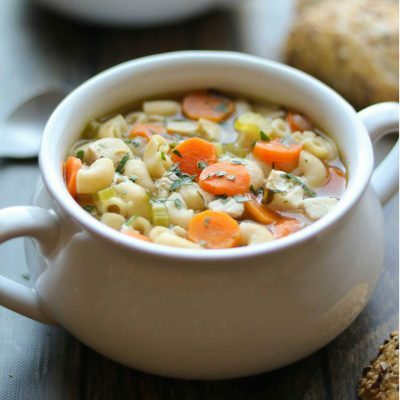 Lindsay’s philosophy (which is so much like our philosophy here at THK) – “Seriously Satisfying, Truly Simple, Good-For-You” recipes for real life. Her commitment to healthier food that still tastes awesome. Her strategies for working in things like extra veggies and whole grains, while still going big on flavors. And her vision of healthy eating as a long-game, accomplished in little ways, one delicious meal at a time. No feelings of deprivation, no hours-long prep times that just don’t work for busy schedules. I know, right?!? That’s all so us! The kinds of recipes you love … and so do I! 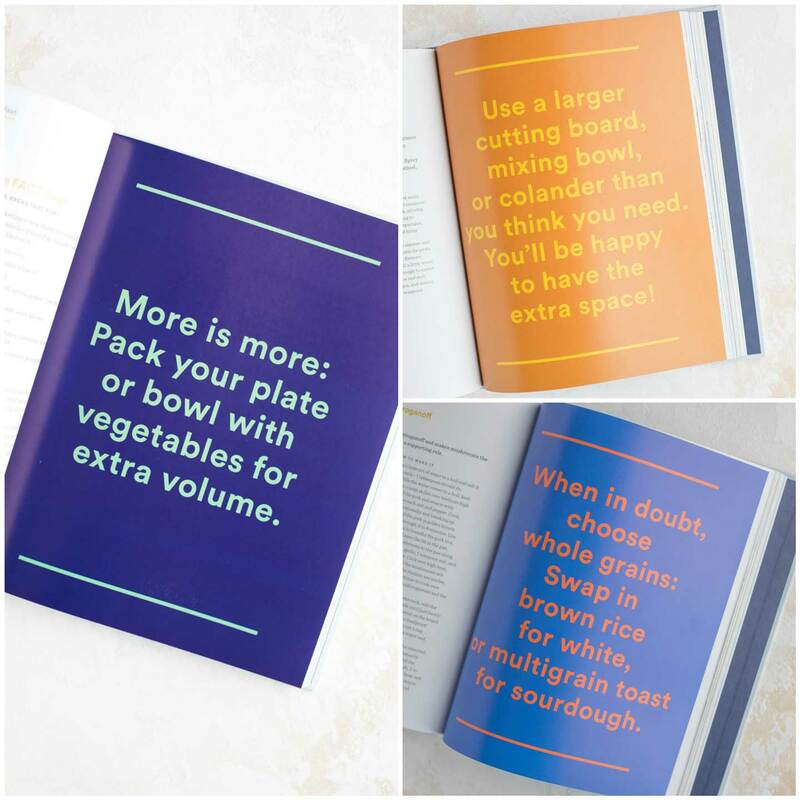 And she just keeps it really real, with terrific little tips and simplified suggestions. It all just works. 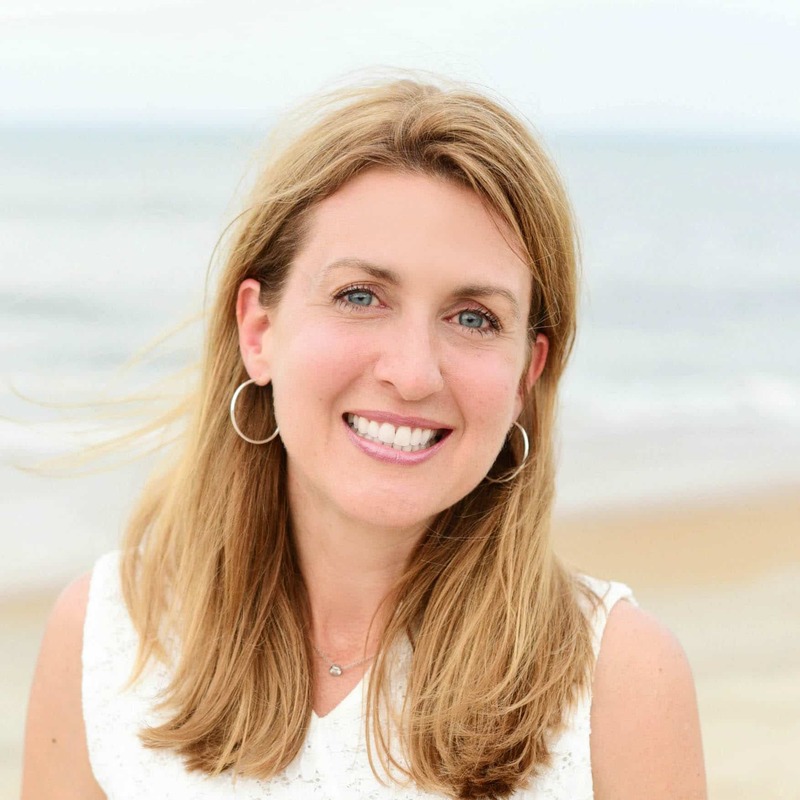 Yay, Lindsay – thank you for Healthyish! 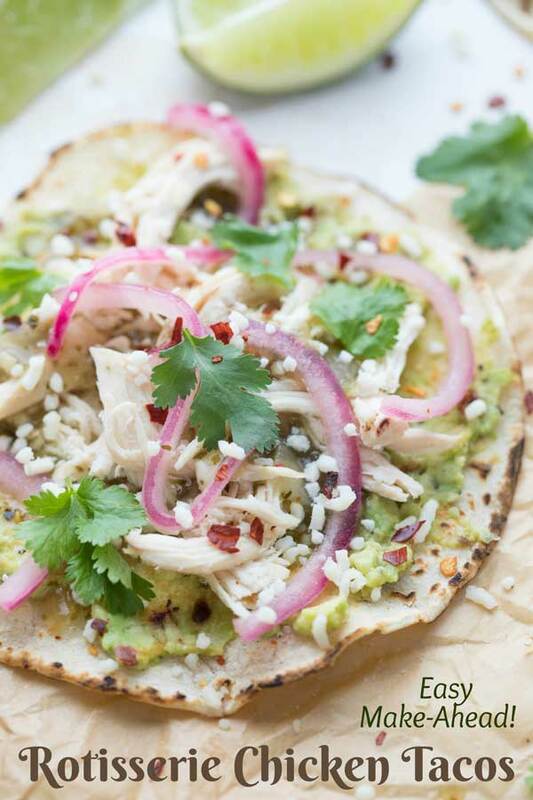 Switch Things Up to Make These Rotisserie Chicken Tacos Your Own! 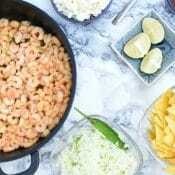 • Cheese and Salsa Choices – You’ll notice on the recipe card that you can make some pretty significant flavor changes based on the cheese and the salsa you choose. As I mentioned above, we 100% adored this recipe using a mild salsa verde and cotija cheese. When we make “typical” tacos, we so often go with standard red salsa (Herdez is my absolute favorite store-bought brand) and cheddar cheese. And sure – there’s nothing wrong with all that. But I seriously encourage you to give the salsa verde (we use Xochitl mild) and cotija a try here for a flavor punch that’s a little more unique! 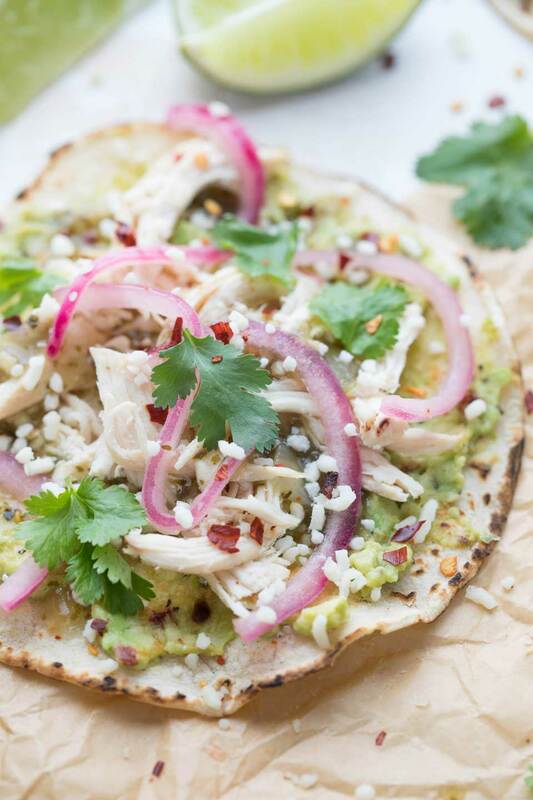 • Corn Tortillas – This recipe calls specifically for corn tortillas, and I’m not going to tell you that you couldn’t swap in a whole-grain flour tortilla in a pinch. But honestly, the flavor you get from the corn adds another layer of interest here, and I highly recommend it. We’ve used both white corn tortillas and also “regular” yellow corn ones (you can see the white corn version in the photos), and both are terrific. • Searing your tortillas – See on the recipe card, how Lindsay says you can sear your tortillas directly on a gas burner (or microwave them)? The gas burner route is surprisingly fun if you’ve never tried it, and yields gorgeously appetizing sear marks on the tortillas. But, let’s get real. How many nights do you have 10 minutes or so to develop beautiful sears on a stack of tortillas. Ummmmm … probably not many. Not to worry! It’s really ok to just zap those tortillas in the microwave. They’ll still have a toasty-yummy warmth, and that’s what matters most! 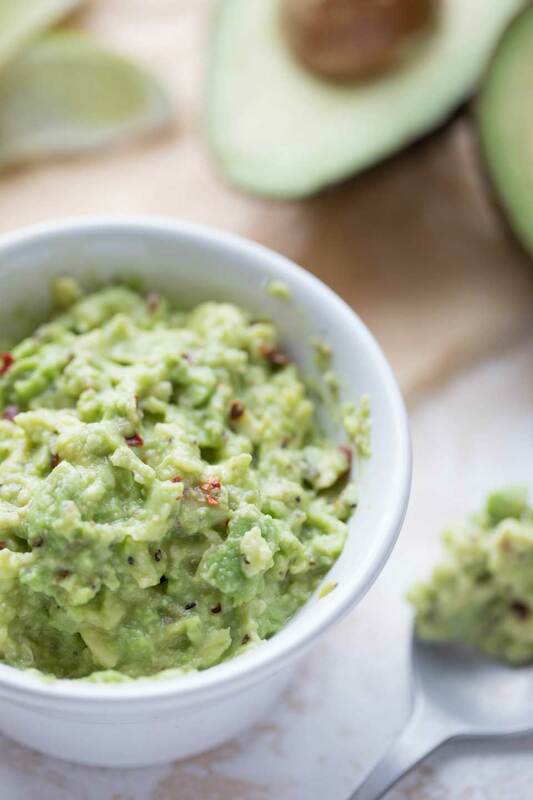 • Spiciness – The “smashed avocado” guacamole-like spread is a tad spicy as written, which we thought was spot-on awesome with the other flavors. But, if your fam likes their food on the milder side, you can always hold back on the crushed red pepper, and let everybody make their own choices about sprinkling on some extra red pepper flakes at the table, if they’d like to kick their tacos up a bit. You can also control the heat based on the salsa you choose – from mild to spicy or anywhere in between. • Chicken (To Warm or Not to Warm … That Is the Question) – You’ll notice on the recipe card that it doesn’t specifically say that you need to warm the chicken. Because … well … you don’t need to. But you definitely can. Whatever you prefer – make it your way, friends! Yay, make-ahead tips! Don’t they just make life sooooo much easier!?! 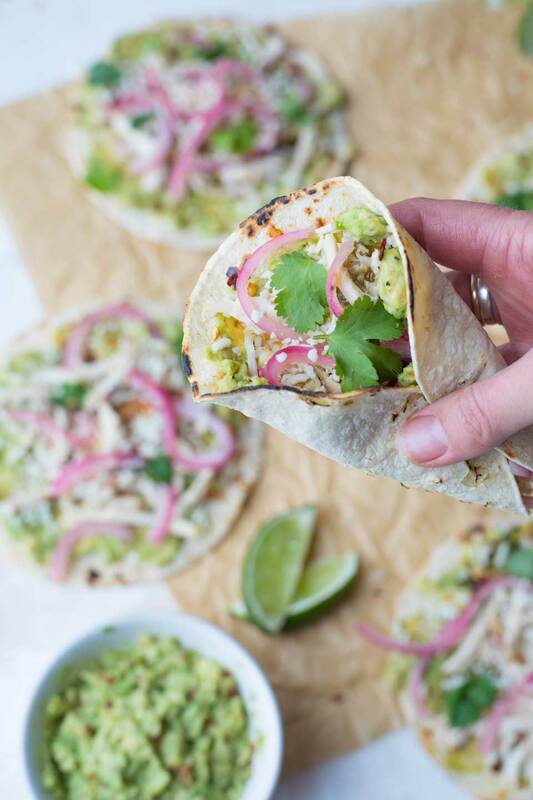 Well, good news here: basically everything you need to throw these rotisserie chicken tacos together can be prepped ahead. Even on busy nights, these can absolutely happen, with just a little work ahead of time! 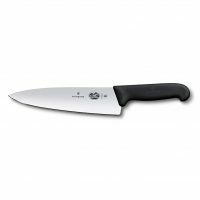 • You can definitely shred your chicken a day or two in advance. With any avocado dip or guacamole that you want to make ahead of time (or if you happen to have leftovers) it can help to press plastic wrap directly on the surface of the guac when you refrigerate it, to minimize how much air comes in contact with it. But, if you still find that the top of your avocado spread has gotten a tiny bit brown, just gently scrape away that very top layer to reveal the still-bright-green yumminess below. • As noted on the recipe card’s instructions, the pickled onions are really best if made at least 15 minutes or so ahead, and you’ll notice that the instructions say these can be made up to two weeks ahead. Two weeks! Now that’s a make-ahead! Haven’t tried pickled onions on tacos before? But trust me … do it! As I mentioned above, that’s part of what makes these particular tacos really special, particularly if you also go with the more unique salsa and cheese options, too. And remember how I mentioned that these pickled onions have weaseled their way into my heart? That’s why I’ve given you a whole separate, sub-recipe for them, just like Lindsay did in the book – you’ll have extra! I did debate about giving you a separate recipe card just for the onions, or simply incorporating that sub-recipe into the main recipe card for the chicken tacos. But, these pickled onions have applications waaaaay beyond the tacos! Think sandwich toppings (that’ll wake up your lunchtime routine!) or salads or even hummus! Yum! Plus, I figure you may as well go ahead and use up the entire onion while you’re at it. Alrighty – ready to make these tacos? Let’s do this! Mmmmm … sounds awesome already! Enjoy! These Rotisserie Chicken Tacos will surprise you with their unique flavors! 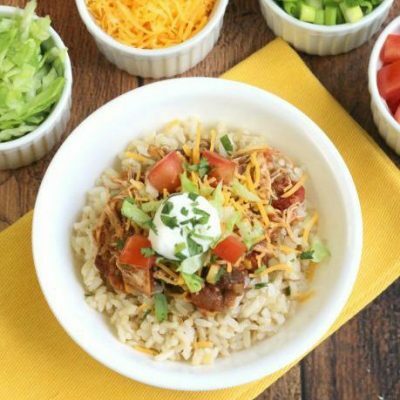 Change up your Taco Tuesdays with this quick and easy recipe! 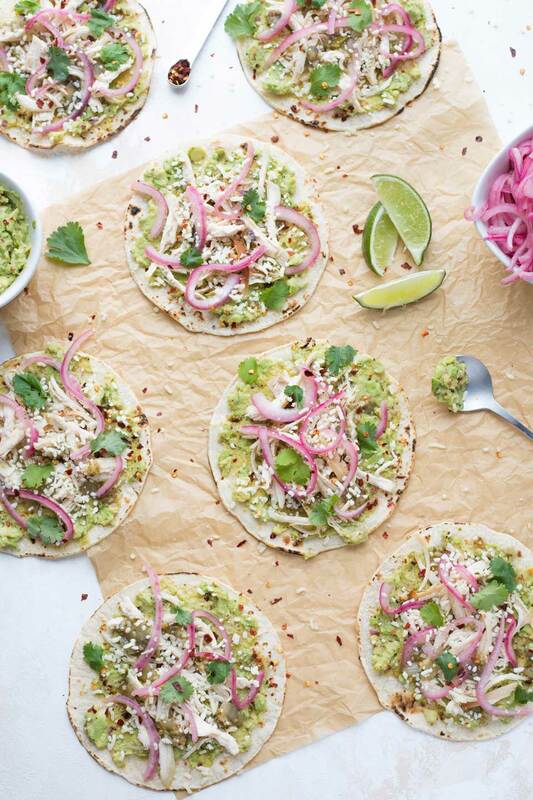 Bonus for busy nights: these tacos can be prepped completely ahead … and assembled at dinnertime! Mash the avocado with the lime juice, 1/4 teaspoon red pepper flakes, 1/4 teaspoon salt, and 1/4 teaspoon black pepper in a small bowl. 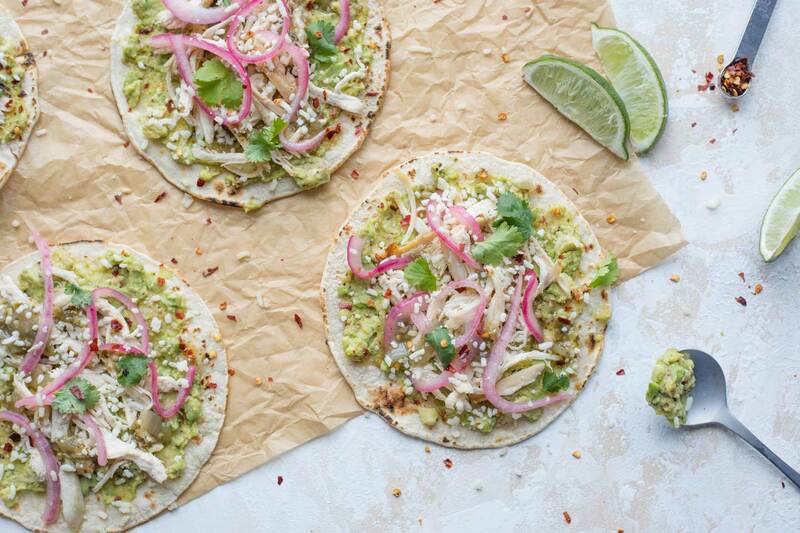 Spread the mashed avocado mixture on the toasted tortillas, dividing it equally. Top with the chicken, salsa, cheese, and pickled onions. Sprinkle with cilantro leaves, additional red pepper flakes, and additional salt (if desired). 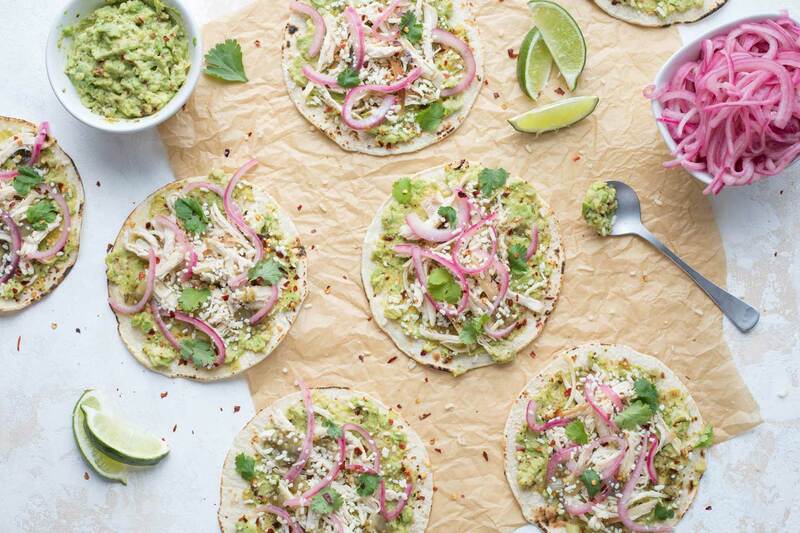 Serve with lime wedges alongside. Chicken: You can gently rewarm the chicken before making your tacos, but it's delicious even if you don't bother to do that. Salsa and cheese: We loved this recipe's flavors made with salsa verde and crumbled cotija cheese and, as noted in our post, we felt like those both added uniqueness to these tacos. But, feel free to mix and match salsas and cheeses, or even offer a variety of choices to create a fun taco bar. 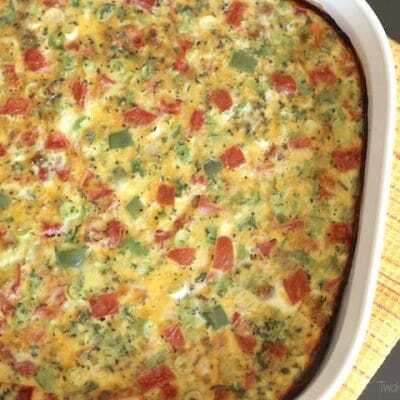 Make-ahead steps: You can have pretty much everything prepped ahead of time for this recipe, so it can be very quickly assembled and served on busy evenings. The lime juice in the avocado mash helps to keep the avocado from oxidizing and turning brown, so you can make the avocado mash a day or so ahead and stash it in the fridge. 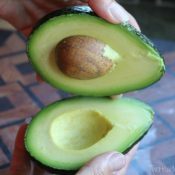 To be extra-sure your avocado doesn't brown, press plastic wrap directly on the surface of the avocado mixture before refrigerating. 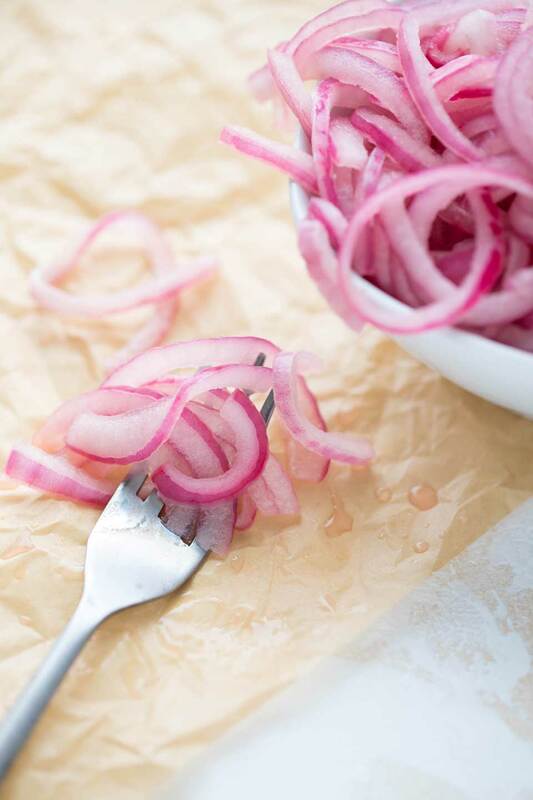 You can also shred the chicken ahead of time and make the Quick-Pickled Red Onions ahead (up to two weeks in advance). 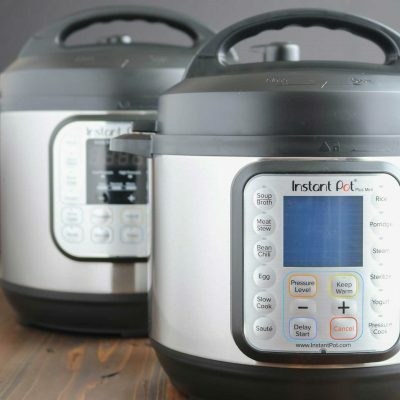 With everything prepped ahead, this meal takes just minutes to finalize! So irresistibly tangy! 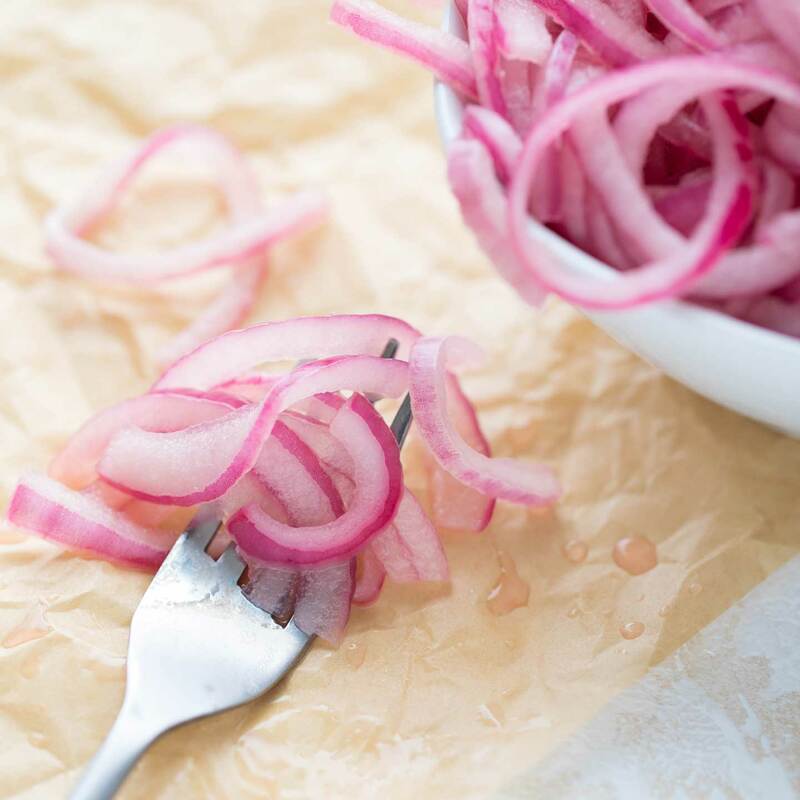 These Pickled Red Onions are a must-try addition to Rotisserie Chicken Tacos ... but you'll be glad to have extras in the fridge for topping sandwiches, salads, or even hummus! Yum! Put the onion in a resealable jar (or other similar container) and then pour the vinegar and salt over the top. Seal the jar and shake vigorously to coat the onion with the salt and vinegar. 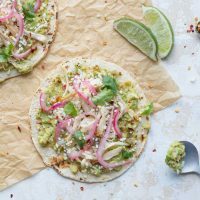 Quantity / Yield: As we mentioned in our post, although Lindsay's Quick Rotisserie Chicken Tacos recipe calls for only 1/4 cup of these Pickled Onions, we decided to give you the full recipe here. That way, if you'd like to use more onions on your tacos, you can. Plus, these onions keep for two weeks and are great additions to things like sandwiches and salads, so why not use up a whole onions while you're making these? If you'd prefer, however, you can easily scale down this recipe to make just enough Pickled Onions for the Tacos. I was very skeptical about this recipe, as rotisserie chicken didn’t sound like a very flavorful taco meat. I was SO wrong! I made these exactly as the recipe states with the only addition of some fresh chopped jalapeno cause I like it Muy Caliente! These were so very good! fresh tasting, flavorful, delicious and on the table in 15 minutes. My hubby and kids loved them too though they skipped the pickled onions, the fools (-: I might try queso fresco crumbles next time just because I love it so much. Thanks for the idea!